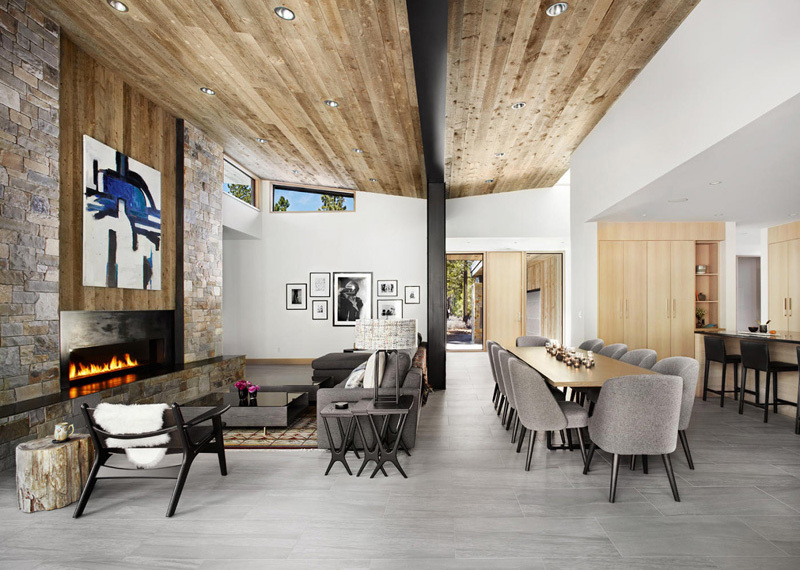 A rustic contemporary home with many stunning features. We can always observe that the clients have this unending desire of finding the real meaning of comfort, privacy and flexibility in their respective houses or maybe even in their prospect house design. Easy access from indoor to outdoor spaces is one of the essential factors that we are looking for in a new and modern architecture of today. In order to achieve that, the location is very essential in the planning its design, layout and sense of privacy and flexibility. The homeowners seek to find comfort that will last for a lifetime that is why they choose to have a house close to nature. They believe that the natural beauty will take them to the idea of owning a house that envelopes comfort and charm as well. Unique feature: This retreat house uniquely presented its architectural concrete and steel columns support the unique butterfly roof. During spring rains and winter runoff these columns will become an active water feature and icefall. 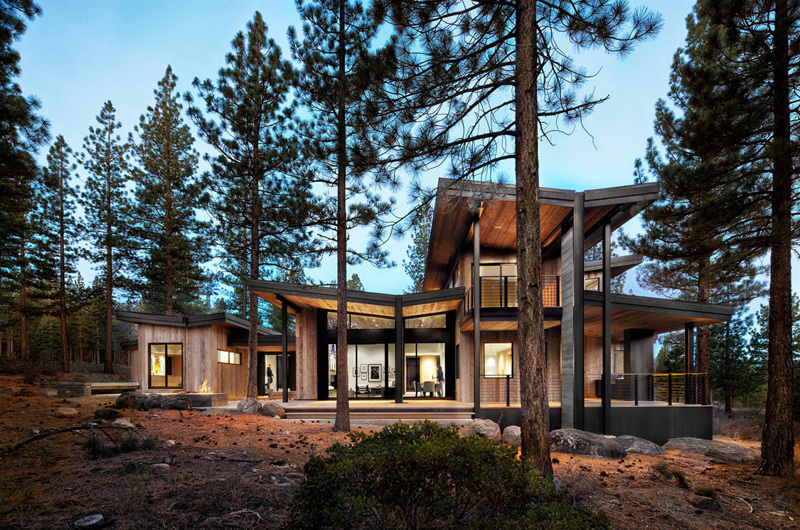 See how the unique butterfly roof in this house underline its modern and latest design that harmonize with the tall trees and the environment as a whole. The wooden materials utilized in the house building emphasize its importance in achieving the goal of great comfort and style. Take a look at the texture and the lines that complements with each other as it underlines the unique features and materials used in building the house structure. You may be astonished as you see the interior’s walls and ceilings. The accessories, furniture is harmonized with the indoor fireplace in the living space. Here’s the cozy daybed next to the fireplace which tells the homeowner that he will find the great place to read a book or even take an afternoon nap. 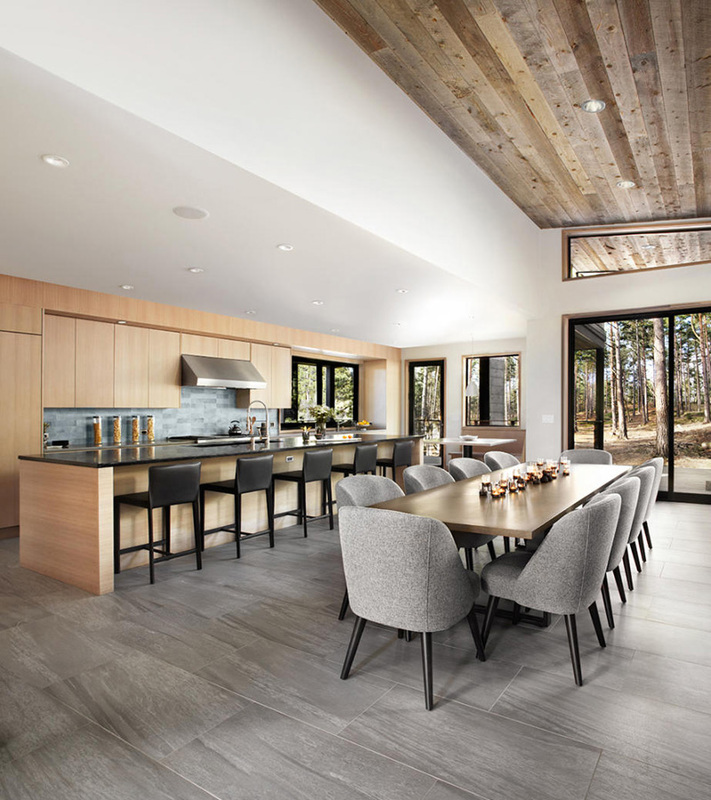 The homeowner may take the full advantage of the exterior for the floor-to-ceiling glassed doors and window in the living space is enough for them to enjoy the environment while having their dinner. See the large kitchen that is highlighted with an expansive island and professional appliances. You may also notice how the designer mix and match the color of the furniture and the appliances here. The wooden walls and cabinets are best suited with the dark color of the chairs and the blue mosaic tiles in the kitchen sink. 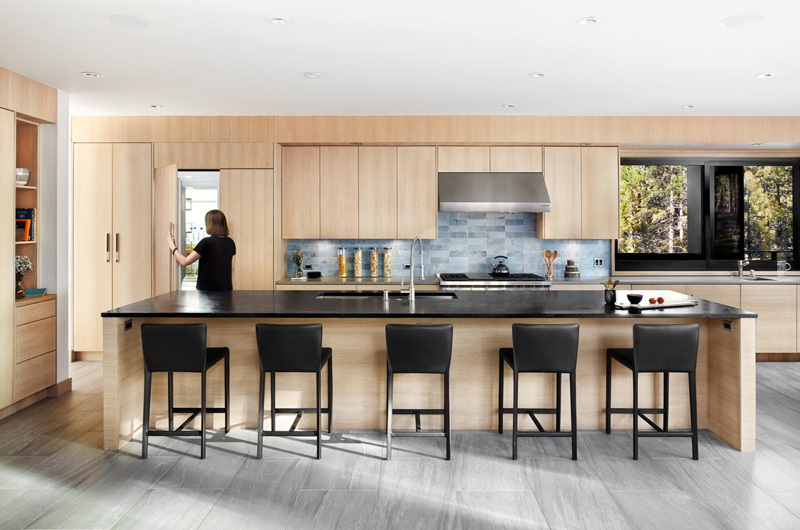 Lines and edges are also highlighted from the tables and floors in this kitchen. Here is one of the corner in the kitchen where the homeowner can sit down and enjoy his breakfast while observing the amazing view in the exterior areas. 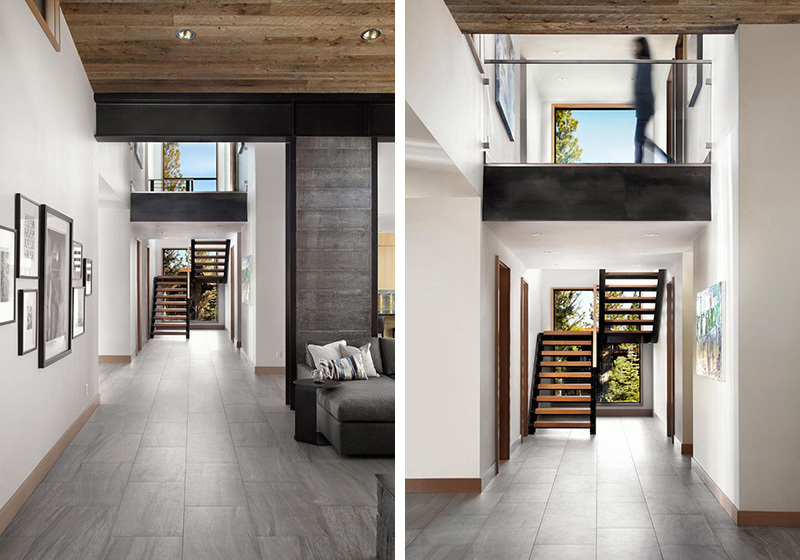 Let us take a closer look at the staircase which enhances with the combination of wood and black color that maintains the elegance in the interior. Here’s the master suite situated in the secluded ground floor and it offers its own patio, bedroom fireplace, freestanding soaking tub and generous walk-in dressing room. This is separated from the rest of the house by a tranquil breezeway. One of the three additional bedrooms in the house is the junior master suite with en suite bathroom. The natural light is also available in this room for its huge glassed windows. Here is the fifth bedroom which shows us the Jack and Jill bunkroom. Colorful stripes bed sheets is perfect to break the plainness of the palette utilized in the bed as well as the walls and ceilings. See how this huge bathroom featured the latest and elegant style of accessories that adds comfort and style here. 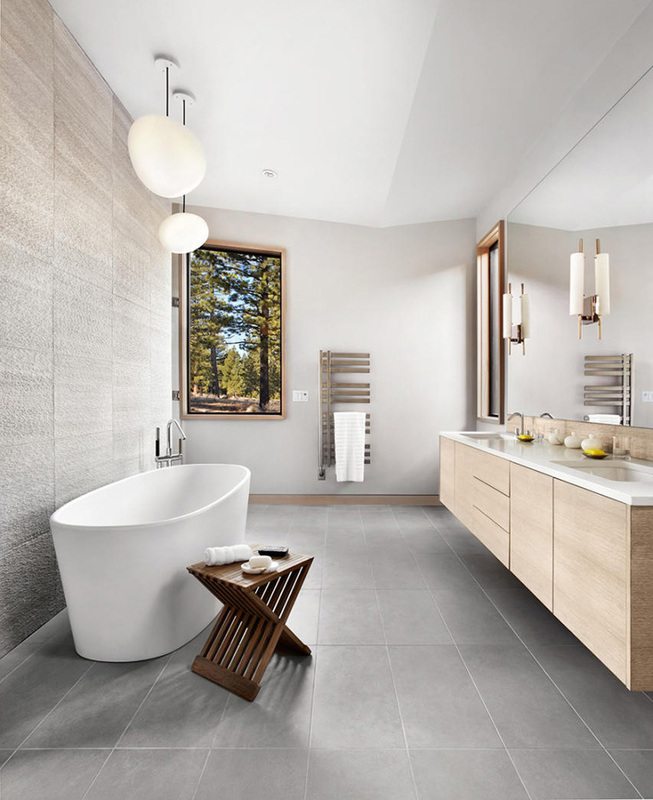 The shape of the bath tub complements with the design and forms of the accessories here as well as the powder space’s natural wooden cabinets. 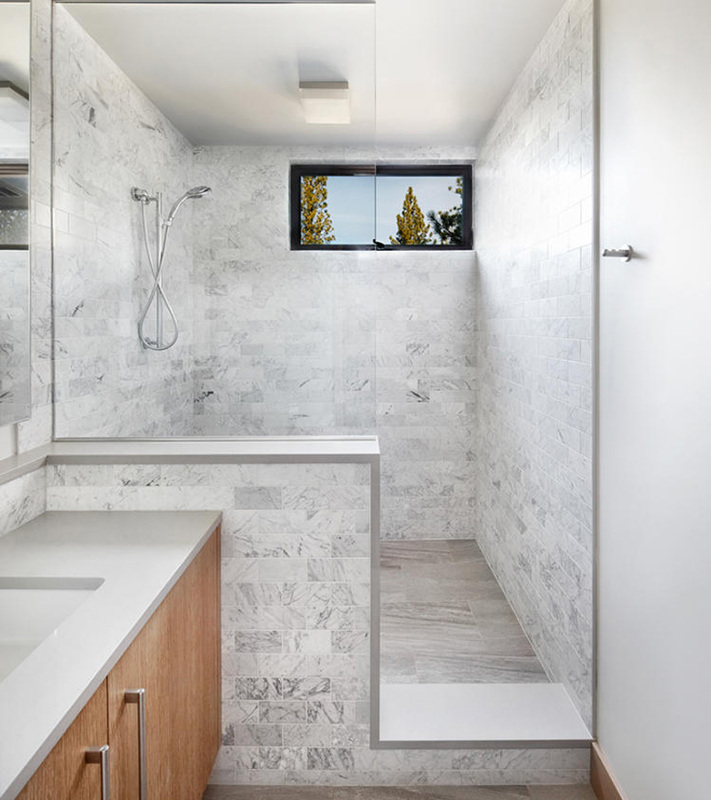 Take a look at the comfortable space in the shower area where the mosaic tiles contribute to achieve relaxing and neat space in the bathroom. 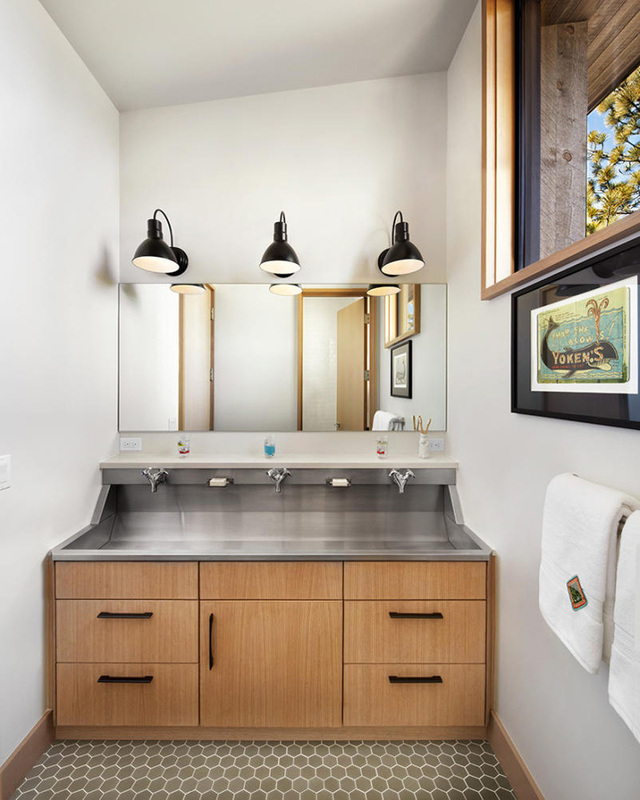 The curves, flawless lines and texture of the cabinet and as well as the mirror clearly shows the neatness and artistic minds of the homeowner collaborated with the designers. As we can see the architectural structure of the house, we can say that the Sagemodern Design have successfully created the retreat house. The great room gives ample living spaces for large groups with the kitchen, dining and living spaces that flawlessly flowing together. I personally like the great room that features the modern Spark fireplace set into a stone and steel hearth that provides a sense of warmth to both the living area and entrance. 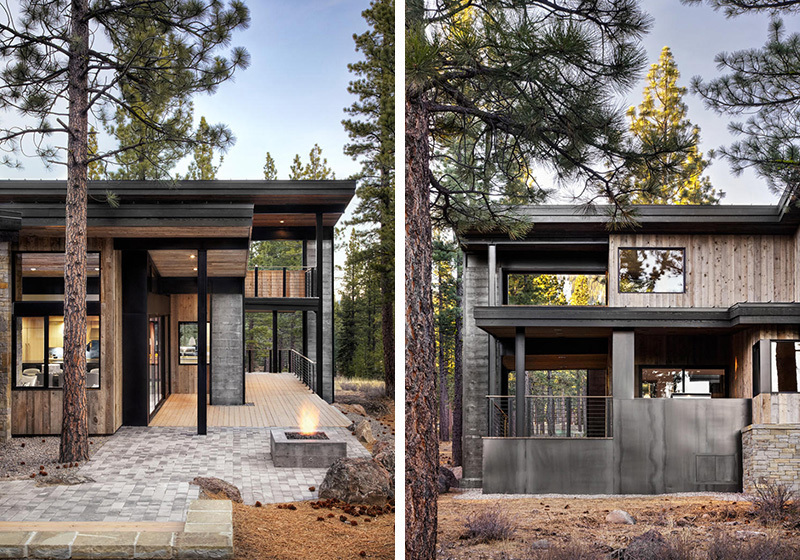 Hence the silver-grey barn wood siding complements with the natural environment and natural ledge stone anchors the home to the land. We hope that we have provided you another list of inspirational ideas that will be your guide in designing your future home.